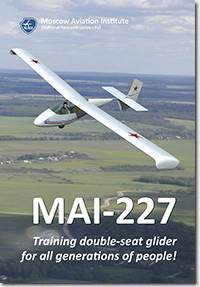 Training double-seat glider MAI-227 — the glider for all generations of people. 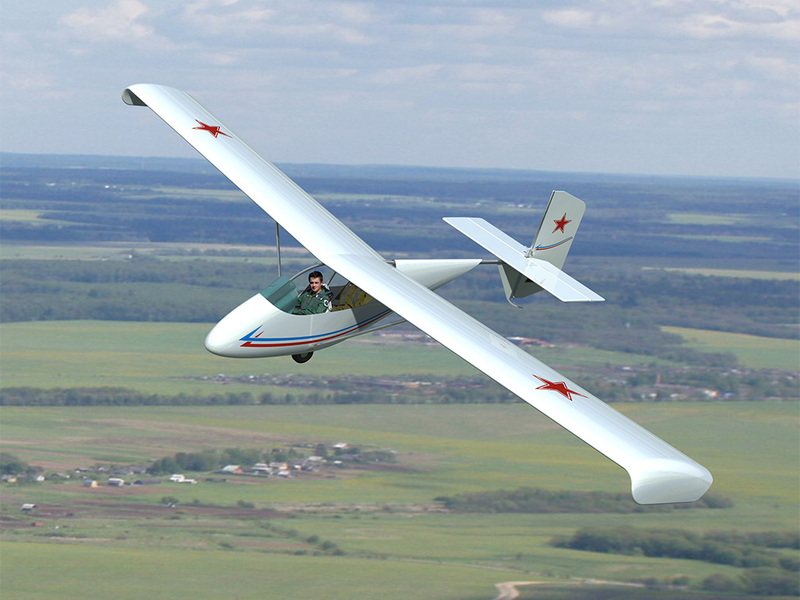 The idea of creation of a glider of such class has appeared because of absence in the market of simple training gliders, such as BRO-11 and LAK-16, in «Soviet» time extraordinary widely applied in youth glider schools (Yu.P.Sh.). 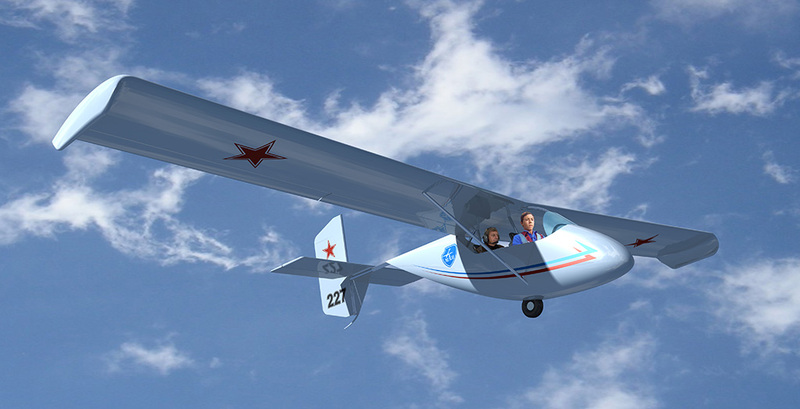 On the other hand, training on a single glider though was widespread in days of Soviet Union, is recognised now by inefficient and unsafe. 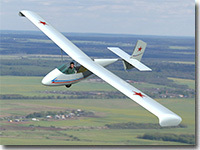 Besides, as it is not paradoxical, training on a single glider of the adult person is interfaced to the big problems. One more difference of MAI-227 from the listed gliders is larger lift-drag ratio (18) that allows it to carry out soaring flight. Such high enough lift-drag ratio is reached, including at the expense of «a clean» wing (in the aerodynamic meaning) from composite materials. 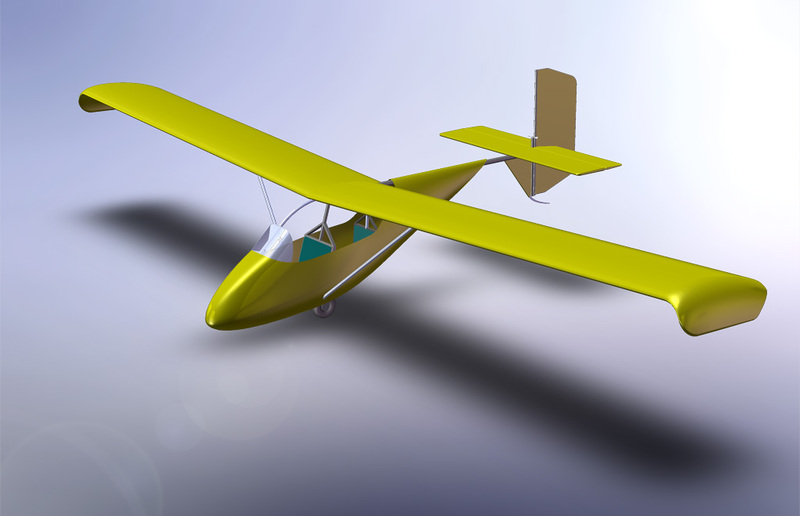 The glider fuselage has a mixed construction: fiberglass cockpit with alluminium frame, made from the pipes made of an aluminium alloy. A cabin of the pilot — half-closed type with a forward windscreen from plexiglas. The cabin is made of fibreglass. Armchairs of pilots are located by a tandem. Two-spar wing is made from fibreglass. A wing aerofoil — FX 60-157. Flaps and aileron are hung on the wing. Struts are made of dural pipes of oval section. 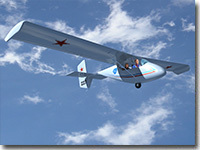 The glider landing gear is one-wheeled, not retractable. Control system — mechanical, reversible. Control of a glider is completely duplicated.